The Schwinn Turismo is a cheaper stroller with a higher price. Yes, it isn't the most expensive in this review, but it is more expensive than it should be for the quality and performance that it offers. This stroller came in 13th place out of 16 strollers putting in solidly in the bottom of the pack and making it an option we think most parents will be disappointed in. With low scores in just about every metric, including run-ability and ease of use, this Schwinn has a rickety frame that has a lot of flex, and a front wheel that wobbles more than we think it should even when locked. Given its poor test performance and higher than necessary price (primarily for the Schwinn name), it is not a stroller we recommend. Schwinn has issued a recall notice on a number of their swivel wheel jogging strollers, including the Turismo. The safety issue has to do with the quick release system on the front wheel coming loose and sometimes detaching. A variety of double and single jogging stroller models sold from January 2010 to June 2016 have been recalled for this reason. Go to Pacific Cycle to find out if this recall affects your model and how to receive a repair kit. The Schwinn Turismo is a swivel wheel single Jogger that has wide tread tires to handle the toughest terrain. The 12-inch front swivel wheel locks forward for stability, while the 16 inch rear wheels help with effortless pushing. It has a lightweight aluminum frame, molded parent console with 2 cup holders, rubberized, textured adjustable handlebar, pivoting child tray with 2 cup holders, built in speakers for MP3 players, and exposed spring suspension for a smoother ride. It works for children up to 50 pounds, has a floating canopy with peek-a-boo window, and sun visor. The Turismo and other strollers made by Schwinn and InStep have a recall notice for their swivel front wheel quick release connection mechanism. Parents should contact the manufacturer for replacement parts and discontinue use of their stroller until the strollers can be repaired according to the manufacturer's guidelines. For more information click here. The chart shown here is a comparison of the overall scores for each stroller tested in the jogging review. The information below provides details on how this option performed during testing compared to the competition. The Turismo earned a 3 of 10 for run-ability. The top scoring products for running in our test were the Thule Urban Glide 2 and BOB Revolution Flex that each scored a 9 for being easy to push and performing well at speed. The Turismo appears to offer just enough to make you think you're getting a good running product. It offers an adjustable handlebar so runners can make adjustments as necessary to maintain proper biomechanics for running. It has an average suspension that is not adjustable but at least is present. Some of the competition lacks suspension altogether, but many of the higher end options offer adjustable suspension for changes in terrain and child weight. Plus, it is easy to tip and turns when the wheel is locked and you are moving at speed. Our runner said it feels like a 1940s pram all bouncy and moving all over the place. Her rider indicated it was scary and "felt like it was going to fall apart" during running. However, it's what it doesn't have that makes it fail at being a good jogging style stroller. It does not offer adjustable tracking. So if tracking is off and it wants to veer to one side or another there is little you can do about it. It also didn't receive the best score for rolling resistance, failing to roll as far as many of the other strollers. It has a lot of flex in the frame that makes it rickety and wobbly. The front wheel has more play than similar products and the rear wheels are more wobbly than some of the other products. The level of quality is just lower and the result is it does perform as well as it should. In the end, we feel that most experienced runner will have difficulty with this stroller over time. It could potentially cause increased fatigue, vibrations felt in the handlebar, excessive muscle use for turning and keeping the product on track. The Turismo scored relatively well for maneuverability with an 8 of 10 score. Most of the swivel wheel models earned higher scores because of their ability to make tighter turns with ease and without needing to tip and lift the front of the stroller. The top scoring product in our tests is the Thule Urban Glide 2 with a score of 9, also a swivel wheel option. excessively without the truck changing track. When you move the stroller handlebar there is so much flex in the frame and ricketiness that it take a while for the stroller to respond. It feels like it lacks precision. It also scored well for off-road capabilities being easy to push and turn off the road. However, it tipped easily on the side hill and we did get it stuck trying to roll it off of the grass and up on the sidewalk. The flex in the frame in our experience is significant enough that it creates more problems than it solves. The Turismo earned the lowest score in our review for ease of use with a 4 of 10. This might feel counter-intuitive given the number of features boxes that it checks off, but none of the features are really executed that well. The top scoring product is the Burley Solstice with a 9 and features that performed well and held up to scrutiny against the competition, earning it a Top Pick award. The Turismo has a nice large storage basket under the seat with rear and side access. But, it also has a crossbar over the back that prevented us from getting a diaper bag inside. So while you might be able to fit a lot of things in the bin, it will all be free floating in there, not in a bag. We almost tipped the stroller over trying to get our regular diaper bag in. We aren't sure it will even fit a medium size bag depending on its shape or how full it is. The bin is rated for 10 pounds, but you aren't likely to get 10 pounds in there unless it is a lovely collection of rocks. This stroller also has a parent console with cup holders and a covered compartment between them. The cup holders are better than average because of the rubber gasket inside them that helps hold the water bottle in place. Even when we tried to shake it out with violent motions it stayed in place, a feat much of the competition didn't manage. The covered storage compartment in the center is pretty small, it didn't hold some of our larger smartphones, and barely fit the MotoX. Even a large set of keys with multiple keychains might have trouble fitting in this space, it isn't as useful as we thought it was going to be when we first saw it. There is also a child tray on this stroller that is nice to have, but also kind of useless. The cup holders themselves are shallow and too narrow for many of the sippy cups we tried. Because we assume most children would use the holder for sippys either due to their age and developmental level, or because the stroller is in motion and it will prevent spills, it is disappointing that we couldn't fit many of the popular brands and styles in the holes. The photos above show the Turismo with the canopy open and closed. This Schwinn has an average size sun shade that offers a small vinyl peek-a-boo window and ventilation. The shade is not large enough to really cover baby adequately from sun or rain and it has a sort of weird and useless clear sun visor. We aren't sure why anyone would want a clear sun visor, but it does offer it. The whole canopy can rotate forward to provide low sun protection and increased ventilation or protection from the direct wind while running. This canopy has better ventilation than the Arrow and a little more coverage, but it still offers significantly less protection than most. The peek-a-boo window has a hook and loop closure. The peek-a-boo window on the Turismo is small and poorly placed making it difficult to see baby. This model also sports speakers in the canopy that parents can connect to their smartphone or MP3 player. Both Schwinn strollers we looked at offer this feature and it sounds pretty cool, especially if you love music or your little one enjoys singing while you run. However, the speakers are more of a joke than anything you really want to use. They are sort of stuffed into side pockets on the canopy and they are connected using what look like cheap components and some hot glue. They are unlikely to stand up over time and we suspect rain will cause them to fail. If that isn't enough, they don't really offer enough sound for little people to hear over the din of traffic or the inherent noise of running, and the runner definitely can't hear what is happening under the canopy. If music makes you move or your baby must have it you are better off buying a higher quality all weather travel speaker that attaches to the frame of the stroller than relying on these cheap speakers that check a features box but don't really offer anything cool to brag about. The Turismo offers a one-handed recline that is a little stiff and not very intuitive. The seat reclines to 21 degrees from flat. It is probably cozy enough to catch a quick nap and any flatter would make it unsafe for jogging. The bottom of the seat curves down to a plastic footrest that is nice enough, but slippery. When you see a product has a well-known brand name associated with it like Schwinn, you sort of automatically assume that it will be of a certain quality. That being said, this is not a product made by Schwinn, but rather a product made by a company called InStep that licenses the name Schwinn to place on some of their strollers. The Turismo disappointed us for quality earning just a 6 of 10 for quality, a score that is below the average in our tests of 8, and only 1 point above the worst scoring stroller, its brother the Schwinn Arrow that only received 5 points for quality. The fabric on this stroller is smooth and has a plastic feel. The fabric is easier to wipe clean than some of the competition, but it isn't the friendliest to sit on and we wonder if it breaths at all or if it will lead to sticky thighs. It does come standard with a sheepskin liner that is machine washable, but it isn't going to be something your children want to use during the warmer months. The seat fabric does snag fairly easily and was one of the only fabrics that failed our snag test. The frame on the Turismo is rickety and has a lot of flex points where parts of the frame and folding mechanisms are riveted together. One tester equated the Schwinn strollers as something the Beverly Hill Billies would use and we all sort of agreed with this estimation. We accidentally broke the swivel wheel lock that sits on the frame near the handlebar during regular use. While it might not break for everyone and there is a chance it broke during user error trying to fold the product, we think it is an indication of the general quality and longevity you can expect from this product. Given that we only tested it and were not using it on a regular basis for running, we suspect it won't wear any better for parents using it daily. The wheels and tires for this stroller aren't bad; they are aluminum with adjustable spokes with a smaller wheel in the front and larger wheels in the back. They sport pneumatic tires that are smooth but do well over various terrain. However, we felt there is too much wiggle in the axle. Cheaper products have greater room for tolerance than the more expensive options and it is most noticeable in how well the wheels connect to the frame. The fit and finish of this stroller are not great. It is similar to the much cheaper Baby Trend Expedition in style and design, but not as tight and well fitted. The frame is a similar shape and the child tray has the same attachment and is almost interchangeable. The canopy on the Turismo is not as nice and tight as most of the competition, and the frame feels pretty loose. All of the fasteners are exposed which results in a finish that isn't as smooth or tailored as other options. For overall ride comfort, it isn't great. It does offer extra padding when you use the sheepskin and it has our preferred sling style seat, but the non-adjustable suspension and the flexing frame mean children are likely to feel every bump on the road and some sway that shouldn't be there. For safety this stroller earned a 4 of 10 in our review for safety, making it the lowest scoring product in this review. The average score for this metric is 6, and several of the strollers tied with a high score of 7. The brakes on this stroller are double action and require both sides be engaged for proper braking. The brakes are difficult to set compared to the competition (the most difficult in the group) and parents might be fooled into thinking they are set when they aren't. You must make sure the brake is engaged when you push down, it tends to kind of pop out of the up position and hit the top of the cogs on the wheel part of the brake fooling you into thinking it is seated fully into the cogs. They also have more play in them than other strollers when parked, and it didn't require much pressure to get it sliding out of place, 30 pounds of pressure to slid forward and 32 to slid back. We prefer single action brakes that have less play and more required pressure for moving out of park. The Turismo lots points for the cup holder placement, because while we tried our darndest to dislodge the bottles and failed (a rare event), we still don't like cup holders placed above baby's head and feel it could be a potential safety risk if a smaller cup or bottle did tumble out on baby's noggin. The stroller has a 5-point harness that is relatively easy to get on and take off; it adjusts well for smaller riders and has adjustable shoulder strap positions and crotch strap. The padding seemed to be in a better spot for adjusting than some of the other strollers and we think the harness will fit smaller riders better. This product does offer a safety wrist strap than anchors low on the frame of the stroller and help prevent the stroller from rolling away should you trip or accidentally let go. The really strange part of this stroller is that the manufacturer says the following in the user's manual:"This product is not suitable for running or skating". We aren't sure what to make of this, but it might be something to consider that even the maker has concerns about using this product for running. The Turismo scored above average for weight and folded size with a score of 7 of 10. The average stroller came in with a score of 6, and the top scoring products earned 8s and included the Thule Glide 2 and Thule Urban Glide 2. This stroller weighs 25 pounds 6 ounces. Only 4 strollers in our review weighed more than the Turismo, so while it isn't necessarily a heavy product, it isn't a light one either. The folded volume is about 13,668 cubic inches when folded. This is folded without the wheels removed because we think most parents won't want to bother with another step at the end of a run just to get their stroller into the trunk of their car. This fold is one of the smallest volume strollers in the group and will likely fit in most trunks without taking the wheel off. It is not a one hand fold product, but rather the manufacturer feels it is a safer product because it does require two hands to execute. The fold includes pushing in dual buttons on each side of the frame simultaneously while sliding a plastic connection point down. The fold is easy enough but might require some practice to do with any grace. The seat has to be reclined prior to folding which is kind of a hassle if you forget, and the swivel wheel gets in the way and can keep it from folding completely. It does self-stand if you use the handle adjusted just right, but it isn't marketed as a self-standing stroller. The unfold is also a two hand process and has a potential safety hazard with a pinch point in the frame as the two plastic portions come together. We caution parents to open it very deliberately making sure that little ones are standing at a distance and that adults keep their hands out of the crease. It seems like a minor complaint, but given that the previous versions of the Baby Trend Expedition had a similar pinch point that has since been resolved, we feel they could fix the problem fairly easily and we hope they do in future versions. This stroller earned a 6 out 10 for ease of setup, this is the lowest score for this metric, but it did tie with 4 other products so it wasn't alone. It took us almost 11 minutes to get the stroller out of the box and ready ride. The documentation is very good, it is pretty clear and concise. While the stroller is easy to assemble, it does require the use of tools which decreased its score given that much of the competition went together tool free. We also didn't like that the instructions didn't tell us where to put the safety wrist lanyard. It isn't difficult to put together, it just wasn't as simple as a lot of the competition. The easiest to setup is the Thule Urban Glide 2 that earned a 10 for ease of setup and took just under 5 minutes to put together with no tools. Parents who might be drawn to the Schwinn name will look seriously at this stroller. However, we caution you that this stroller is not made by Schwinn nor does it have components made by Schwinn. There really are no best application for this stroller, it isn't cheap enough to use as an everyday kick around stroller with the swivel wheel and occasional jogging, and it didn't perform well enough to be used as a dedicated running stroller. This makes it kind of a disappointment no matter what your stroller goals may be. This stroller is not a great value. 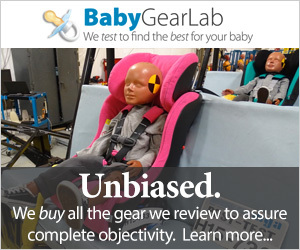 It is significantly more expensive than our Best Value winner, the Baby Trend Expedition, but it didn't even score as well in our tests. And while you can easily argue that the Baby Trend is not great for serious or regular runners, we would argue that neither is the Turismo. This Schwinn failed to perform well in run-ability and ease of use which means it isn't likely to make runners happy either. We suggest that dedicated runners save their money and spend more on a better product than compromise with this stroller. The Schwinn Turismo came in 13th place out of 16 strollers we tested. It earned 49 points of 100, with the highest scoring product earning 84 and the lowest 47. This makes the Turismo a middle of the road ride that disappoints on almost every metric. Given the price of the Turismo, it should walk the line in this pack of strollers by not being too expensive like the top scorers, but offer more features than the cheaper options. This makes it feel like a good compromise for parents on a budget or those who aren't even sure they want to jog but to purchase the Turismo because you can't commit to a more expensive option is a mistake. If you aren't sure that you will be using your new stroller for jogging on a regular basis, then we think you should wait until you have a better idea. If running isn't really your thing, but the style of this kind of stroller is appealing, then we recommend the Best Value winner Baby Trend Expedition. If you do run regularly and want to ensure you have the ability to continue doing so after baby, we think you are better off saving and spending more money on a better scoring product that offers more in run-ability or maneuverability. We believe you will be far happier in the long run with a great product, than a subpar compromise. Alternatively, you could purchase the InStep Safari and save $40 for almost the exact same stroller with slightly different wheels and no suspension. We also looked at the Schwinn Arrow in this review. Neither product scored well in our tests and we weren't really in love with either option. Both products are made by InStep which licenses the Schwinn name to add to the strollers, even though Schwinn has nothing to do with the design or components that you will find on these strollers. The photos above show the Instep Grand Safari and the Schwinn Turismo in a side-by-side comparison. InStep offers a much cheaper version of both Schwinn options that are about $40 less list price than their Schwinn counterparts and are the same with the exception of plastic wheels on the InStep models and a part steel frame. Even the Instep Comparison chart shows little difference between the models. In fact, we felt this model was so similar to the InStep Grand Safari that we ordered the Grand Safari to test as well. The primary difference we see is the top portion of the frame is aluminum for the Turismo and steel for the Safari, which adds about 5 pounds to the Safari. For more information check out our review on the Grand Safari. The Grand Safari is so similar to the Turismo that it scored similarly and we think the weight difference isn't a deal breaker on a stroller that performed so poorly, to begin with. In the end, if you like the stroller you might want to save some money by getting the Grand Safari over the Schwinn, however, neither is great in our book.